Video The Representational Body (2016). Courtesy the artist. Ria Jade Hartley (born 1983) is a performance artist, researcher and educator based in Bristol. Her work has taken forms as devised theatre, site-specific and durational performance, installation, video, photography, one-to-one performance and socio-political art. Hartley's practice pays attention to memory, identity, human relationships, and shared narratives. It often invites participation and exchange between herself and her audiences, seeking to blur the relationship between space and situation in order to open new grounds for thought and exchange. 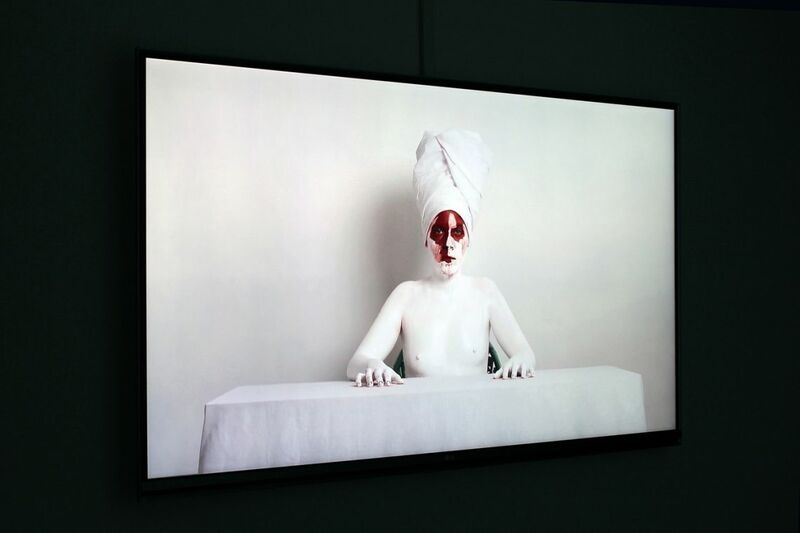 The VENICE INTERNATIONAL PERFORMANCE ART WEEK 2016 presents The Representational Body (2016), a work thatconsists of a series of images and video in which Hartley explore visual modes of reconstructing the body, interpreting notions of one's ancestry, mythology and ritual.